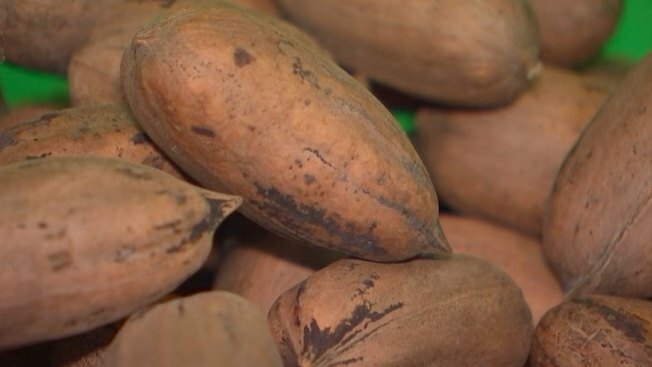 New Mexico became the national leader in pecan production last year after Hurricane Michael struck down large swaths of Georgia's crop, new U.S. Department of Agriculture numbers show. New Mexico produced about 90 million pounds of pecans in 2018 compared to Georgia's 56 million, the Carlsbad Current-Argus reports . Georgia, traditionally the largest pecan-producing state, saw its crop crippled by the storm, cutting production by almost half from 107 million pounds. Lenny Wells, associate professor of Horticulture with a focus on pecans at the University of Georgia, said 17 percent of the state's pecan acreage was lost to the storm. Georgia lost about $100 million in pecan crops, $260 million in trees, and up to $200 million in future income, Wells said. "We had some pretty severe devastation," Wells said. The storm landed in the Florida panhandle on Oct. 10 and quickly moved into Georgia's southwest corner with winds up to 125 mph. It proceeded into the state with winds sustained at about 100 mph. Hurricane Michael was the first Category 3 storm to impact Georgia since the 1890s, the National Weather Service reported. In 2017, about 97 percent of New Mexico's 90 million pounds of pecans were produced in five of its 33 counties, according to the most recent data from the USDA's New Mexico Annual Bulletin. About 73 percent of the statewide crop came from Dona Ana County, with Eddy County producing about 11 percent. Records show Texas and Arizona ranked third and fourth in pecan production. New Mexico reported a growth of almost 50 million pounds in the past decade from 43 million pounds in 2008.